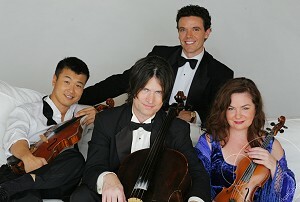 Whatever your event – wedding, gallery or business opening, private party or banquet, reception, family reunion, anniversary, or memorial service – your event will be more memorable with music played by a string quartet. 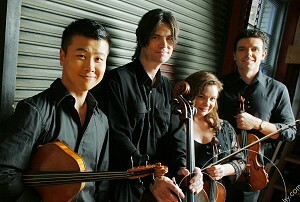 A professional wedding string quartet adds the perfect touch of class to this special occasion. The Armadillo String Quartet will consult with each couple to help select, time and place the music before, during, and after the ceremony. 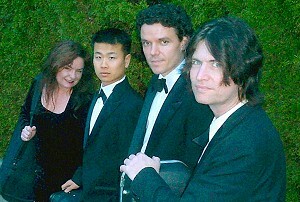 The group can play special requests, accompany singers, or play with any organist. The Armadillo String Quartet has been in all types of weddings, from simple civil ceremonies to synagogues and churches of all denominations. The Armadillo String Quartet can provide the entertainment and background music in a private home, restaurant, club or convention. 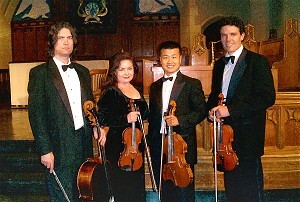 The music can be strictly classical or a mixture of familiar romantic, ethnic and Broadway melodies. For conventions, the use of a PA system is recommended to gently amplify the acoustic instruments. The Armadillo String Quartet has played concerts at libraries, schools, churches, fairs, outdoor festivals and coffee houses. They have played in outdoor summer concerts all around the BC Lower Mainland and always look forward to entertaining large audiences. On somber occasions, there is no substitute for the classical violin sound to conjure emotions and give expression to deep feelings. 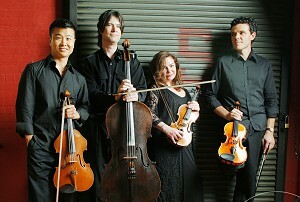 The Armadillo String Quartet is available to prepare programs for and perform at all such gatherings. Christmas carols and Hymns are guaranteed to delight. 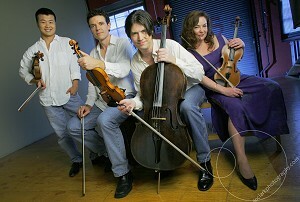 To listen, please enjoy our large selection of music samples recorded by The Armadillo String Quartet.